This tutorial will explain how to search a word in a YouTube video and jump to that part. 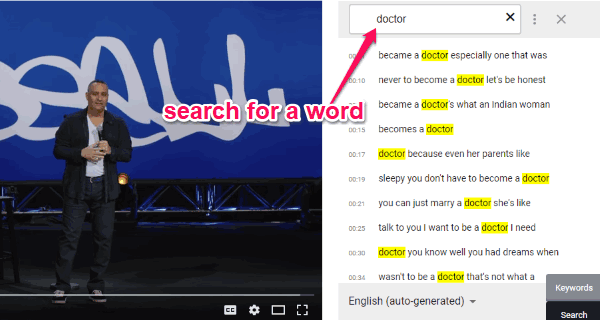 There is a simple method using which you can now search for any word you want in a YouTube video and then jump to that video part where it is used quickly. You can do that with the help of a free Chrome extension called “InVideo for YouTube“. 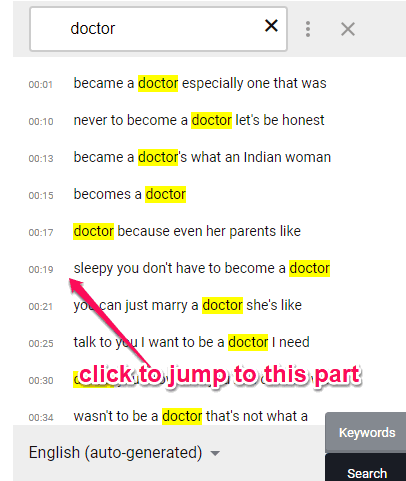 This extension lets you search for a word and then shows you all the sentences where it is used in the video. Apart from that, it also shows the timestamp of each sentence and lets you go to that playback duration just by clicking on them. The best thing about this extension is that it doesn’t require the video to have a pre-added subtitle, as it can work with the built-in subtitles feature of YouTube. It means the videos where the “CC” icon appears when you play them. However, if there is an added subtitle, then you can also switch to that for better results. This method can come in handy if you don’t want to watch an entire video and quickly move to your favorite part. We have also covered some interesting tutorials on YouTube like how to search YouTube video based on location, filter YouTube videos by length, etc. To get started, simply go to the homepage of “InVideo for YouTube” extension and then install it on your browser. To do that, simply click on the “Add to Chrome” button and the extension will be added instantly to the toolbar. When you’re done with that, simply open YouTube and then play the video in which you want to search for a word. After that, you can see a small “Open InVideo” button below the video player. Click on this button to proceed. As soon as you do that, it will open up a popup window on the right with a search bar. You can also see some sentence suggestions from the video to which you can directly jump to by clicking on them. At the bottom, you will also see an option to select the Keyword option to see all the important or frequently used words from the video. Now, to search for a word in the YouTube video, all you gotta do is type the word in the search bar on the popup. After that, press Enter and then it will start searching for the word in the entire video. Once the search is complete, it will show you all the sentences where the word is used in the video along with the timestamp. Now, you can easily and quickly jump to any part of the video where the word is used. To do that, all you need to do is click on any of the sentences from the search result on the popup. As soon as you select a sentence, the playback will automatically jump to that part of the video and start playing from there. So, this is how you can search for any word in a YouTube video and then jump to that part of the video where the word is used. The “InVideo” extension for Chrome makes it very easy for you to search for words. The only thing which might concern you is that it only works with the videos which support the YouTube’s built-in subtitles feature. 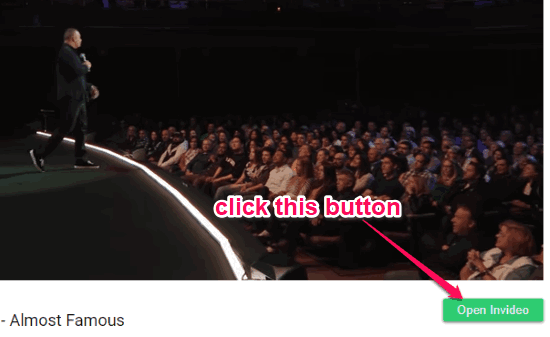 Now, you can move to your favorite part of any YouTube video with ease. Install “InVideo for YouTube” from here.